About few years ago, when it was time to renew the dheka for our agricultural land near Mohali, my wife requested that we keep aside some land for organic farming. Like all conventional farmers, I was dismissive of the idea. I personally had no experience, saw organic farming as a fad, and was challenged by the idea of how one would manage pests, crop manure, output etc. However, I did leave some area untilled for sometime, and started to explore the nuances of organic farming. The idea of putting clean, chemical free food on the table which was good for health, more nutritious and flavourful, slowly started to take hold, and motivate me towards organic farming. So we started to do organic farming of vegetables for our house. As family and friends came to know of this, they were very appreciative of the idea, and also wanted some organic vegetables. This encouragement has now led us to planting vegetables on 1 acre of land, fruit trees on another acre, basmati/wheat on 3 acres, and arhar daal on another acre. We also have some hens for eggs. Through these columns, I would like to share my experiences of kudrati farming, and help and encourage anyone who has been planning to turn to organic farming. This article is not restricted to the Farmer, but anyone who eats food! Most of this article will be talking to the Farmer. But to the non-farmers, the Consumer, I would like to say that there was a time when we all had a Family Doctor. Now the time has come to have a Family Farmer. Encourage a farmer in your vicinity to go organic, and assure him that you will buy his produce at a profitable rate. Not only are you saying that you will no longer be for forced to consume poisons in the name of food, but you are taking a position of prominence in starting a new revolution of healthy and flavorful food. 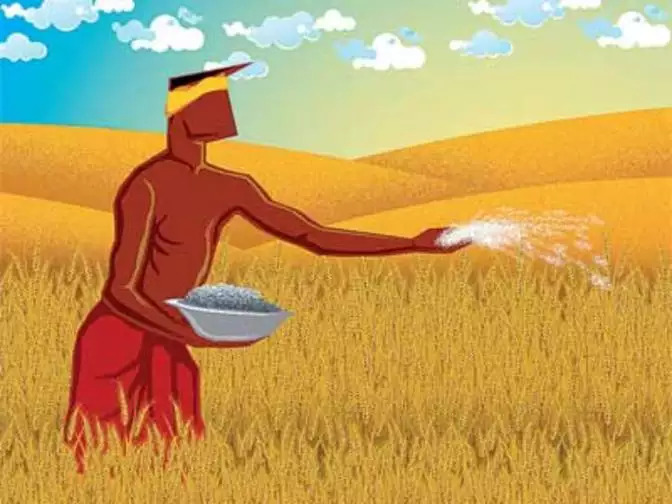 There are so many models you can adopt in conjunction with your Family Farmer to supply you with your short term daily requirements (eg vegetables); your mid term requirements (pulses etc) and long term requirements (wheat, rice, mustard oil etc). The Consumer must also take charge of what they spend their hard earned money on. Yes, organic/kudrati grown food will always be slightly more expensive; but please encourage your Family Farmer, and as this relationship becomes a close trusting partnership, both Consumer and Farmer will find a value in this that goes beyond monetary terms. Let us start from the start – what is organic/kudrati/natural etc farming. As far as I’m concerned, it is just, simple farming. Farming the way it was done by a generation before us when they were young. Today’s farming is not a thinking persons farming. A farmer goes to get his seeds from a shop, is told what insecticide, weedicide and pesticide to use, and when. Being superstitious, he will not use his powers of observation and usually use more than recommended. 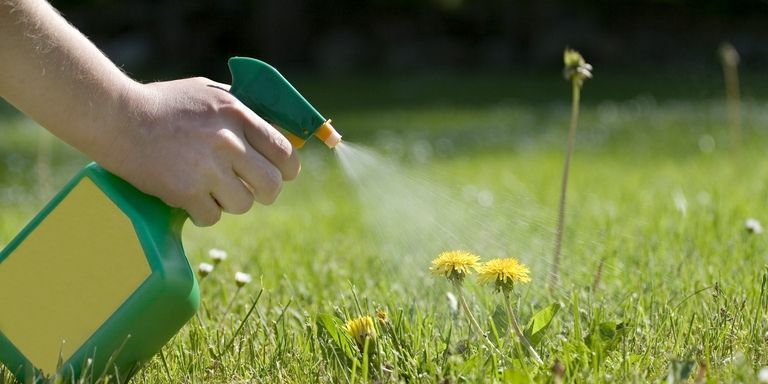 As such, he will use weedicide to kill all weeds, insecticide and pesticide to kill all pests and insects – both good and bad. In kudrati kheti, which I follow, you have to rely on a natural balance of things. If you observe nature, each and every living entity is connected and dependent on each other. We do not fight with nature to get our food, we work with nature. We strengthen the soil, we use seeds that are localized, we use clean water only as much as needed, and we plant trees that clean the environment and provide inputs for insect and pest management (Not insect and pest eradication). One has to observe and use what nature provides. Ack, dhatura, neem etc rarely have any disease or insect problems. So we learn to use them for insect and pest management. Also, if you look at nature - where there is prey, there is always a predator. So we also learn to identify mitr kide (friendly insects), who will eat and remove harmful ones. Aloe vera is rarely seen with any fungal or bacterial issues so we learn to use this to manage fungal and bacterial issues. Waste from cows, goats and hens are used as nutrients for plants. We also find that if some kind of crops are planted next to another variety they do well; while some species never do well when planted together. So we learn to increase our output by companion planting. Also, planting some plants (like marigolds) attract bees, butterflies, ladybugs etc. They increase pollination, leading to better production, and also manage the pests. Without chemicals, various little creatures work underground to improve soil porosity, and create mini air vents by their constant going up and coming down into the ground. This improves water retention and root development – again leading to a healthier crop. If you invest in desi seeds once – you can subsequently save on seeds expenses. Nutrition for strengthening the soil comes from waste of cow, goats and hens, and other farmyard waste. Insecticide and pesticide come from Nature. Does this not reduce a Farmer’s expenses? Not to mention medical expenses! One can see from the above that Nature truly provides all you need. And it does not ask for anything in return. You only need to let Nature do it’s job. Yes, initially when you convert from chemical farming to organic/kudrati farming, there is a slight drop in returns. This is usually depended on the Farmer’s learning curve and how much work he has to do to restore balance in nature. Once that balance is restored, then there is no looking back. To anyone looking to enter into organic/kudrati/natural farming, I would recommend that you do it gradually. Start with one or two kanals of land – whatever you’re comfortable with. Make up your mind to make it successful. Next comes what to grow? We started with vegetables. It is the most difficult to grow, but has the most direct impact on us. As a farmer, why do you want to pay someone to feed you poison when you can grow your own food?